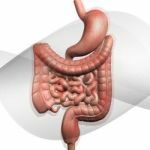 Total body health is dependent on many interconnected systems but there are none more important than the digestive system. To understand it’s deep importance we need to understand the process of digestion. You put food in your mouth where digestion begins, it then enters the stomach where it’s broken down further into its nutritional components, which feed the body and keep it working well. Your body is made up of billions of cells. Like tiny building blocks, they work together to form every part of you. Cells make up your skin, bones, muscles, and organs. Your body uses those broken down nutrients to fix damaged cells and make new ones. Nutrients give cells what they need to work, grow, and divide. If your gut is out of whack your body won’t get what it needs to do its work. Feel the importance of the gut health? We hope so! Will you help us share this podcast far and wide? In this incredibly important podcast our resident nutritionist Shawn Stevenson probes the depths of gut health. 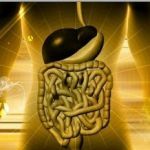 What you’ll discover will help you attain invincible gut health which in turn will lead you to optimal health. The intrinsic interconnectedness of health within your body. How digestive issues can create diseases in other parts of your body. The diseases linked to gut problems. The intelligence of your gut. Where your immune system is REALLY located. Steps to an invincible gut. Awesome podcast Shawn. Super complete and clear! It’s my honor, Laura! Thanks for checking in and sharing. Such great information Sean. 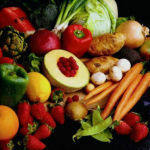 Very, very informative and you are so passionate about this health issue, the way you emphasize how important our gut is in maintaining good health. I love to listen to your podcast. Again I love your voice and the passion and softness with how you deliver this message. Love you Sean and thanks for all this wonderful information, all the time. Thnx Sean, always great podcasts… I wish 10 years ago I knw what I HAD to learn now! Would you consider doing a specific podcast about healing IBS, Leaky GUT and Diverticulosis? This is so prevalent… And what do you think of SCD to address this issues? Kira, thanks so much for chiming in. And, yes, I’ll definitely look into putting a podcast on the calendar for your suggestions. (You never know until you ask!) SCD can be smart protocol for some people, and it’s generally a good starting point. And I’m fully aware of the conventional recommended protocols for gut problems when it comes to pre & probiotics. The funny things is that the majority of patients that come into my office who’ve seen a conventional physician are actually already taking a probiotic. Times change, and even though it’s a self-replicating feedback loop to keep people from being free of their disease by NOT recommending probiotics, more and more practitioners are making it a standard practice. Thanks for sharing your voice, and keep the intelligent requests and comments coming! I am a 54 yr old woman that’s pretty healthy. I’ve been a vegetarian for aprox 10 yrs and try to avoid dairy. Living in central Texas with TERRIBLE cedar allergies, which inevitably leads to sinus infections every year and having to take antibiotics which I hate! I’ve already tried neti pot and that doesn’t help. I drink green smoothies on a regular basis. Do you have any suggestions? Laurie, you seem like you’ve done an awful lot to try and take care of this naturally. The real core of it is that allergies are a sign of a toxic body. I know that your system is likely THOUSANDS of times cleaner than most, but sometimes a genetic predisposition can leave you susceptible regardless. That said, I’d look into doing a structured cleansing program (with some protocols for modulating histamine). If you don’t have a practitioner to design something for you, you can contact my office at advancedintegrative@gmail.com and make a request for me. I really am addicted to your podcasts! I enjoy downloading them and listening to them in the car on long drives. Please inform the Webmaster that the link to download this one only allows playing of the podcast online and not downloading it and saving it for future listening.